Spins Royale casino was launched in the summer of 2017, but it managed to gain popularity relatively quickly, in fact, it soon became one of the top NZ casino brands. Tau Marketing Services own this brand and that fact on its own is quite reassuring, as the company owns a number of successful casino and bingo sites. The site is licensed by the Gibraltar licensing authorities and by the UK Gambling Commission, so Kiwi players enjoy full protection. The site has a classic look to it, with a basic deep blue background and various white and light blue lettering and options. From the top left corner, you can select the site language, and there are seven different language options. You will notice the login button in the top right corner and once you login you will have a more personalised user experience. Via the search bar, you can look for particular games by name, and although it’s completely logical to include a search bar, not all sites do. Of course, you can also go through the game library and look for the titles you like the most. All new players who register with Spins Royale casino online can claim the Welcome Offer as soon as they make their first deposit. You will need to make a deposit of at least $10 to qualify for the Welcome Offer and the offer consists of a deposit match bonus and Spins. Just make sure you use bonus code “ROYALE25”. The deposit match is 100% and the maximum limit is $25, so with a deposit of $25, you would get $25 Bonus. Free Spins are awarded for the Wolf Gold game, but Spins Royale free spins casino often change the game, so at the time when you’re reading this, they might offer free spins on another slot game. Still, the pokie name is always on the bonus banner, so you’ll know which game you’ll get to play once you register. The Spins are worth 25p each, which means that when you get 25 free spins, you actually get to wager $6.25. But it’s not just the Welcome Offer, regular players also gain access to a range of promotions and other bonus offers. Special thematic offers are introduced during and before popular events and holidays. If you become a VIP at Spins Royale casino, you will get regular perks, depending on how much you play. If you play on a regular basis you will surely be getting stuff. Casino Spins Royale has clearly stated how much you need to wager to get to the next VIP level. A lot of other sites have VIP programmes, where you have to get an invitation to join the Programme. At the top VIP level – the Elite Level, your deposit limits will increase, and you will be receiving a lot of other benefits. Spins Royale Casino is all about great casino games. There’s a great selection of online slots, including titles from by game providers, such as Microgaming, NetEnt, Lightning Box and Elk Studios. At Spins Royale they also offer over 500 casino games, including live and mobile. Due to the functionality and user-friendliness of the Nektan platform, games can be browsed by category, or by name, by simply typing the name into the bar. The featured game categories include new games, live dealer games, casino games, instant win, but you will also find exclusive titles. A lot of players are interested in the live dealer titles where you get to play against actual dealers in real times, as well as a chance to hang out with other players. Some of the live games include Dream Catcher, Football Studio, Blackjack Fortune VIP and more. Just open the site in your smartphone browser and you will be automatically taken to the Spins Royale mobile casino version of the site, there’s no need to download any apps go through any hassle. It offers complete functionality, in fact, all options that are otherwise available in the desktop version of the game, are also offered on the mobile version of the site. So, all games, all payment options and everything else can be accessed when you open the site on your mobile device. TMS brands usually offer a wide range of deposit and withdrawal methods, and Spins Royale accepts card payments via Visa, Mastercard, Maestro and Electron, as well as few e-wallet options such as Neteller, Skrill and Trustly. 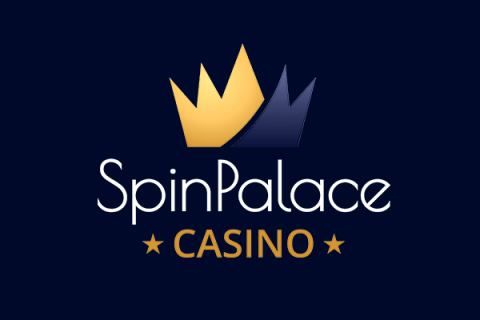 In Spins Royale casino Paysafe deposits are also accepted. The minimum deposit is $10, whereas the minimum withdrawal is $20. For high-limit punters, there’s a withdrawal limit of $2000 per day, which initially seems very reasonable until you see their $5000 per month cap. If you would like to withdraw more than that in a month, you will need to contact the Spins Royale customer support team and request an extension of the maximum withdrawal amount. 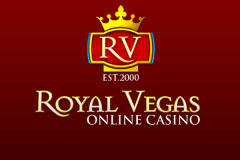 Unlike most of the newest casino sites, Spins Royale offers pretty fast withdrawals. Your payments will be processed within 24 hours if you’re withdrawing your funds via one of the accepted e-wallets. Bank transfers, on the other hand, as well as withdrawals to credit/debit cards can take between two and five business days. Being one of New Zealand dollars online casinos Spin Royale allows its players to use NZDs while making a deposit and withdrawing money as well as CAD, EUR, GBP and SEK. This is a PayPal online casino NZ that really treats players like royalty. The user interface is quite straightforward, and it is pretty easy to use the site. The overall appearance is quite colourful, and most slots and other games are displayed on the homepage, so you will be able to see what they offer and how you like their selection of games before you register. Registration can be completed in a matter of minutes. And once you’re registered, you automatically become a member you become enrolled in the loyalty programme, which means that you will be receiving points for every real money wager you make.